Happy 4th of July! Who doesn’t enjoy a fun day of baseball, barbeques, and patriotism? I was thinking about this the other night while I was watching fireworks from our friends’ house in Cockeysville. As red, whites, and blue flares filled the sky I thought about how unique it is that we get to spend Independence day in the same city that was pivotal to so many exciting times in American history. In my humble opinion, Baltimore was made for the 4th of July. One thing you’ll notice when you walk the street of many of Baltimore’s neighborhoods is the preservation of historical relevancy. 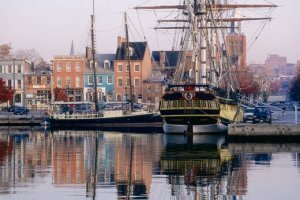 The cobblestone streets in Fells Point are the same as they were during the American Revolution. It doesn’t take much to imagine America’s first navy being built at the docks in 1763, right where Thames St stands today. You can stand on Federal Hill and look through the viewpoint of General Benjamin F. Butler and his union soldiers who erected a small fort overnight to protect the city from confederate sympathizers during the Baltimore riot of 1861. 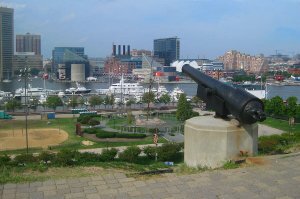 And I wouldn’t be a true Baltimore native if I didn’t mention the iconic Fort McHenry just down the street next to Locust Point. 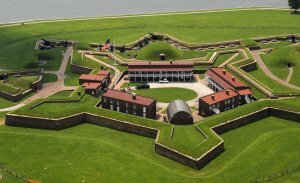 While it may be common knowledge for those who grew up around Baltimore but for those who didn’t, Fort McHenry was the inspiration for Francis Scott Key’s poem “Defence of Fort McHenry.” This poem was later put to music and became the lyrics for “The Star-Spangled Banner,” our national anthem. This inspiration occurred during the war of 1812 when Francis Scott Key became jubilant following the heat of battle. All night the invading British ships had bombarded Fort McHenry with round after round of rockets and mortars lasting 27 hours. Despite the thousands of rounds, the american troops held their ground. That following morning these soldier raised an oversized American flag over the fort, signalling that Baltimore would remain within the control of the United States of America. This symbolic gesture touched Francis Scott Key as it was a representation of American determination and grit despite the those forces which had battled to see it fail. 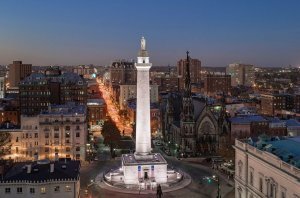 Yes, it’s true, while our Washington Monument isn’t as tall and grand as the one in Washington D.C., it has an interesting history that’s unknown to even the most staunch of Baltimore natives. Located in Mount Vernon, the monument . While it may look mundane to the common passerby, it contained secrets that would make fans of the movie National Treasure squeal in excitement. It turns out that the Washington Monument contained not one, but TWO secret time capsules that remained hidden for centuries. The first was the original cornerstone that was laid, ironically, on July 4, 1815. This cornerstone was discovered in February 2015 when a construction crew who was digging for a nearby sewage tank, unearthed the rumored cornerstone. This cornerstone was a granite cube with a marble lid. 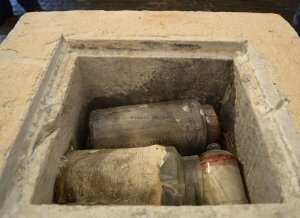 Upon opening they found three well preserved glass jars stuffed with newspapers from 1815, a collection of coins, a bible, a copy of George Washington’s farewell address, and a book of, “Approved English, Irish & Scottish Songs.” Interestingly one of the newspapers discovered contained a printed copy of the United States Declaration of Independence! The second time capsule was discovered in October 2014 during restoration. 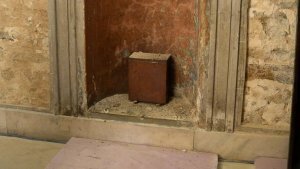 This time capsule was a sealed copper box placed behind a plaque in the monument during the centennial celebration in 1915. This capsule was revealed to contain 70 artifacts including coins and newspapers of the day, a variety of photographs, items from the 100th year commemoration of Defenders Day, an iron spike, and memorabilia from the Star Spangled Banner Centennial. Baltimore is filled with history and intrigue. It’s like an onion where every layer you peel back reveals another collection of secrets to unravel. Whenever I help someone buy or sell a home I like to think that we’re not just transferring a property, but all the history that goes with it. 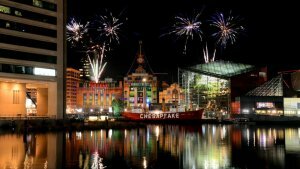 What sites in Baltimore do you think of on the 4th of July? We’d love to hear them in the comments below.